Lots of gravel on grass beside 139 meadowbrook drive from plowing snow onto boulevard all winter. Mower could shoot rocks possibly hitting someone or putting hole in fence . Have sweeper clear rocks off grass back onto street. Located on corner of 2nd Ave E and meadowbrook drive. Your complaint has been received and an investigation will be initiated. The gravel was swept onto the roadway, which will be picked up by the street sweeper. Thanks for using Newell Connect and we hope this addresses your concern! 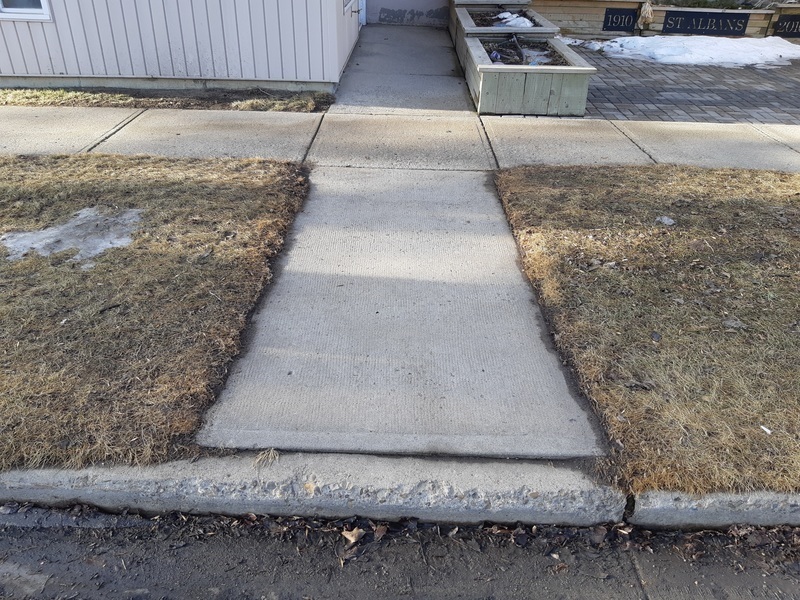 Resident of the City of Brooks was utilizing a crosswalk from the JBS Canada Centre to the Brooks Junior High School to go to the Newbrook Lodge by way of wheelchair. 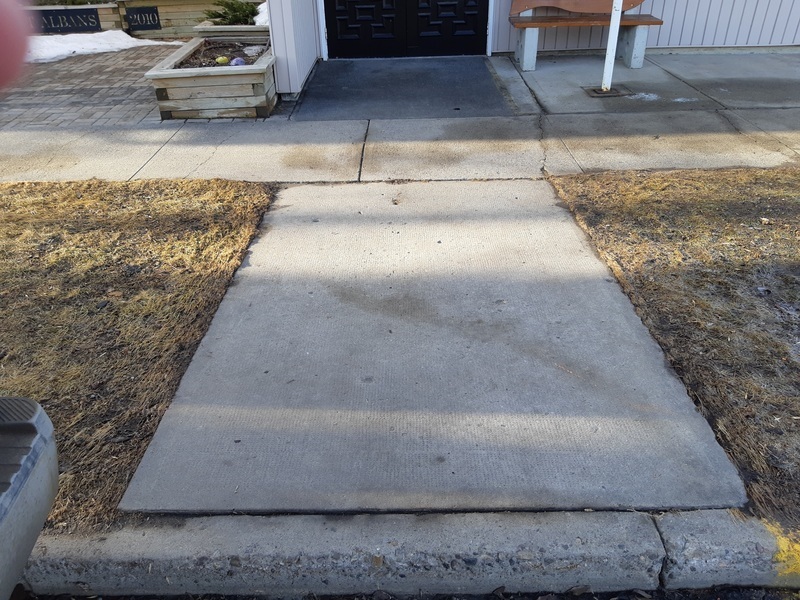 Upon utilizing the crosswalk the resident became stuck in a pothole that is within the crosswalk, of which the resident required assistance to move the wheelchair out of the pothole. Resident would like the pothole in the crosswalk to be fixed. Please notify Stella at (403)363-4476 once the pothole has been fixed. Public Works staff attended the location and there were no potholes in the area. After further speaking with the resident, it was noted that it was the gutter that the resident's wheelchair was stuck in. No further action required at this time. Concern regarding requirements to obtain a business licence, including the requirement for a development permit when no development is occurring. Information was sent to the resident that advised of when a development permit is required, under the Municipal Government Act and Land Use Bylaw; in this instance, a change of use is occurring, which is why a development permit is required. A municipality must undertake two separate processes. One for the zoning of land and one for the permission (approval) to undertake one of the uses listed within the district. Therefore, zoning alone does not constitute permission to undertake a use. S.640 requires a Land Use Bylaw to outline a method for processing and approving development permits. Only a few developments are exempt from development permits (i.e. fences) all uses that are listed are required to be approved through the development permit process. Resident was satisfied with the follow up and no further action is required. Resident called in requesting that hand rails be put up along the stairs in the main part of the stadium/bleachers, where the shade is. Staff have received a quote for approximately $4,000, which would not allow the request to be completed in the 2018 budget year. The request will be presented to Council during 2019 budget deliberations. It has been noticed that there is a a bunch of unregistered cars and trucks. Issue 5653117 has been marked as a duplicate of this issue. Issue 5653125 has been marked as a duplicate of this issue. 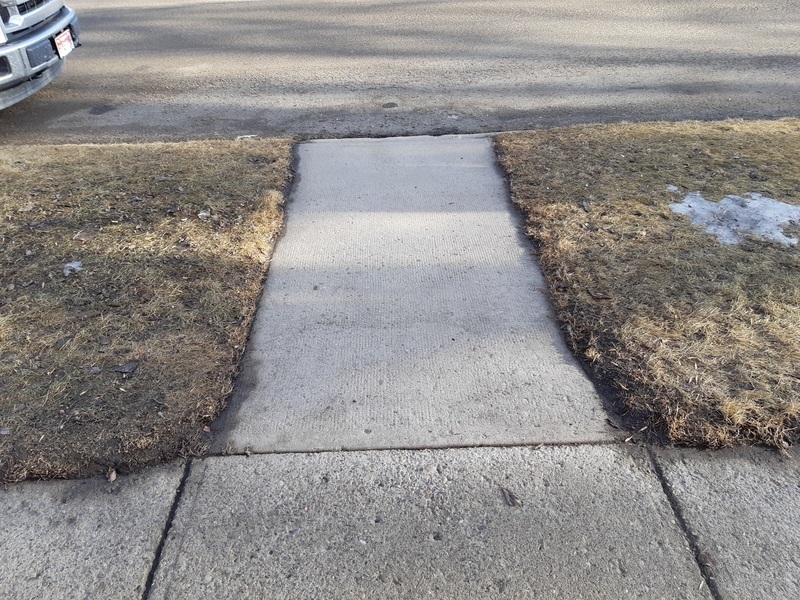 The sidewalks by St. Albans Church are in need of repair. Two side blocks, one along the curb on 3rd Ave leading to the main entrance and the other one from the curb to the office entrance, are not level and cause tripping, water/ice build up. Extreme hazards to the practitioners and the elderly. Also the sidewalk from 3rd Avenue to entrance is a water/ice hazard as well, also a extreme hazard to the practitioners and the elderly. 1 Street to Main Entrance - The area where the water marks are, is where the water accumulates after a thaw and becomes VERY treacherous for Church Members, especially the elderly. 3rd Avenue to Main Entrance - The side walk is higher than the curb making this VERY treacherous for Church Members, especially the elderly as well. 3rd Avenue to Office Door - The side walk is higher than the curb making this VERY treacherous for Church Members, especially the elderly as well. RCMP arrived at 60 Pleasant Park Road to follow up on an alarm call and noted a potential illegal suite in basement, called CPO to advise. City CPO called Planning and Development and spoke with a staff member who advised to put in complaint tracking for follow up purposes on their end. Resident was contacted by Development staff and has advised he will be in to City Hall to apply for a permit today (March 28). Pothole at the sw corner of Fairview Ave and 2nd st west (at the lights) needs to be filled. It’s been there since last year and now that the weather is warmer back with a vengeance! It is right next to the curb making it unavoidable when heading east through the lights. Resident would like the scope of the Handibus reviewed and possibly expanded. The City will not operate the Handibus during statutory holidays (i.e. Christmas, as requested). Some Departments, mainly the Recreation Department, operate on statutory holidays; however, Christmas is a holiday when all City facilities are shut down and no City employees are working. Staff have begun to work on a policy that may address special requests; however, that policy has been placed on hold until after the new year. If anything changes with the service, all users will be contacted and advised of any increased hours, days, etc. File to remain open until the policy is either approved or direction has been given not to move forward with the policy. Resident was contacted and advised of the above. Resident has a concern regarding water in the alley backing up into their garage. Resident was contacted and advised that with the current flow conditions and the frost being out of the ground, the alley cannot be graded at this time; however, once the ground dries more, it will be graded during the spring grading program.